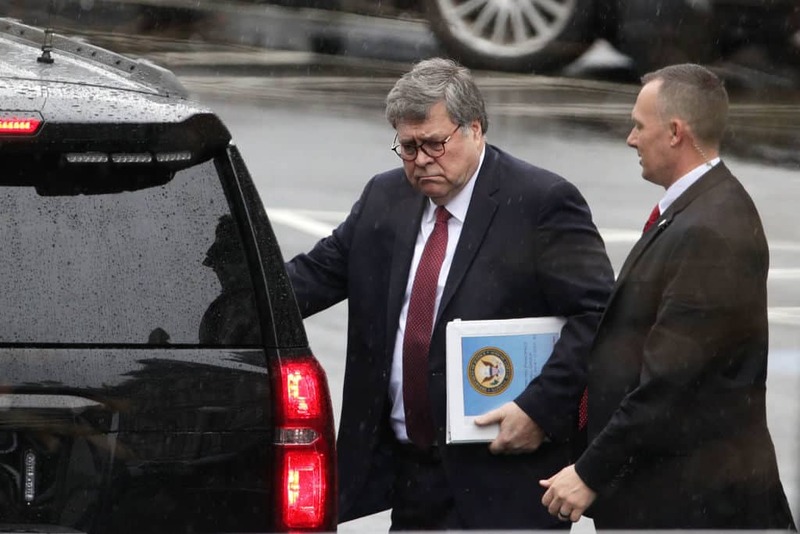 On Sunday afternoon, Attorney General William Barr addressed a letter to Congress, which was later released publicly, summarizing parts of special counsel Robert Mueller’s key findings when it came to the Russia investigation. But for some, Barr’s letter only conjured up more questions than answers. As a result, calls continued for the full report to be released. “The fact that Special Counsel Mueller’s report does not exonerate the president on a charge as serious as obstruction of justice demonstrates how urgent it is that the full report and underlying documentation be made public without any further delay,” Speaker of the House Nancy Pelosi (D-California) and Senate Minority Leader Chuck Schumer (D-New York) said in a joint statement, per reporting from the New York Post. Former federal prosecutor John Flannery, speaking with MSNBC’s Ari Melber on Sunday, expressed concern over why the letter was issued out in the first place. It’s likely that Mueller himself provided an “executive summary” in his own words, Flannery explained. The fact that Barr opted to use his own summary raises some new questions. “We have what really looks like a press release that didn’t get ready in time for the Sunday talk shows,” Flannery said, per reporting from Raw Story. That letter “could have a romp through…his misleading document,” he added. Flannery also questioned what standards Barr was going with when he determined himself that no obstruction of justice charges during the course of the investigation against President Donald Trump were warranted. Flannery concluded in his statements to Melber that Barr may have acted inappropriately when he drew such conclusions in his letter. Mueller himself didn’t make any conclusions one way or the other when it came to the question of obstruction charges — so how did Barr come to his belief that those crimes didn’t occur, without speaking to the witnesses himself mentioned in the report? “And it is like Barr couldn’t restrain himself from spiking this thing when he shouldn’t have touched it at all as to whether or not there was any obstruction,” Flannery said.